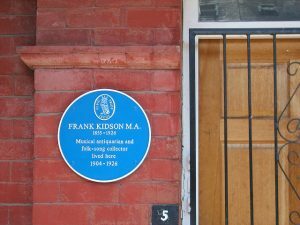 This month Chris Nickson tells us about Frank Kidson, forgotten antiquarian and folk song pioneer from Leeds. Frank Kidson. He was a little better-known in his lifetime than he is today, a familiar name to a few who were involved in the tiny world of folk song, a small society then and still minute in the great scheme of things. But to those who were aware of him, he was viewed with a kind of awe, a man looked up to, whose word was generally taken as the final say in matters. Oh, and he was from Leeds, born in the centre of the town, a man who lived his entire life here. A local hero, if you like. Born in 1855 on Centenary Street – where Victoria Gardens outside the Town Hall now stands – legend has it that his parents placed him on one of the first stones of the new building in 1858 so he could always say he’d danced on top of the Town Hall. Cute, yes; legend, maybe. His parents weren’t rich, and Frank was the youngest of nine children. But his maternal grandfather, a nail manufacturer and property developer, was. On his death, Frank’s mother Mary received a large bequest. The immediate result was that Frank attended a boarding school near Shadwell, then still far out in the country. Frank inherited his uncle’s library, sparking a lifelong interest in books and all things old, which deepened after he left school and joined one of his older brothers in the antique business. By the 1870s, thanks to financial support from his mother, Frank left the job, determined to make his living as an artist. He always had a close relationship with his mother and lived with her at a house on Burley Road until her death. He certainly seemed to enjoy having someone in the house. Rather than being alone, he asked his niece, Emma – who became known as Ethel – to live with him. She’d lost her father, and readily accepted, becoming companions for the rest of his life. Above all, though, Kidson was an antiquarian. With his brother, he published the first history of Leeds pottery, and in the early 1880s he became interested in folk song. Although he was a poor-musician himself (he admitted he was ‘ham-fisted’ on the piano) he possessed an acute ear for melody. He collected old printed broadsides (one scrapbook of them is in Leeds Libraries) and volumes of tunes that had been collected. 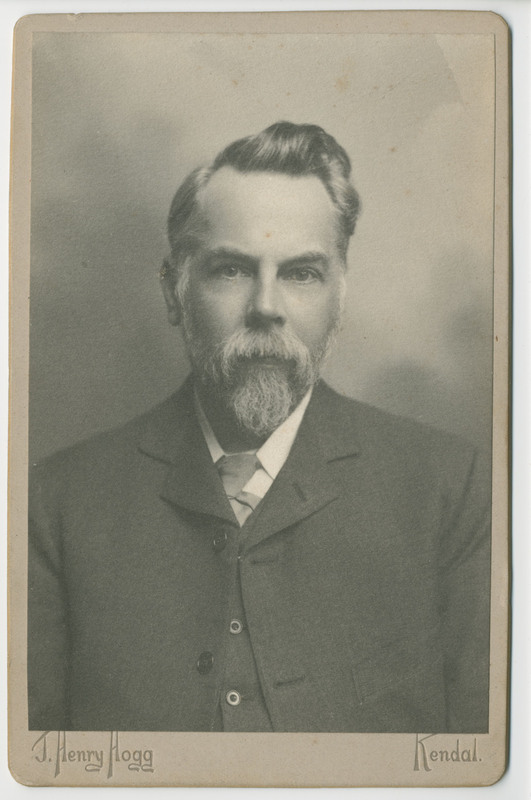 In the late 1880s he had a regular column about old folk songs in the Leeds Mercury Supplement, and was actively collecting songs himself, both in person – notably around Goathland and Whitby (which he combined with painting and sketching trips), as well as Leeds – and via correspondents. Today, we think of folk music as one branch of something bigger. In the 1880s and early ‘90s, though, that wasn’t the case in England. Very few people collected folk songs. Kidson was one of the first to publish, initially with Old English Country Dances (1891). That same year, he published Traditional Tunes, the book that made his name, although it only appeared in a private edition of 200 copies. It became, however, very influential, and established Kidson as the leader in the infant folk music circles. Interestingly, it would be his last book on the subject until close to his death, although he did contribute articles to journals. He was a sucker for a good tune, above all else, and when out collecting, treated singers with respect, not as people of a lower class – quite distinct from many in the generation that followed. On collecting expeditions, Ethel would remember the tunes, then at home, Kidson would plunk out the melody. When a Folk Song Society was formed in 1898, he was invited to be a founder member, along with colleagues who did similar pioneering work. But his interest in folk song seemed to be waning; he did no more collecting after 1900, although for a number of years he was deferred to as the ultimate authority in the field. He acquired a huge collection of song and tune books to go with his massive collection of broadsides, and his prodigious memory allowed him to bring anything, along with its variations, to mind in an instant. His work in folk music made his name, but the best was still to come. British Music Publishers, Printers and Engravers, which appeared in 1900, was a remarkable work of scholarship, the first in its field, and the gold standard for many years. It was the culmination of a lifetime spent collecting. He was also a contributor to the first edition of the Grove Dictionary of Music and Musicians, penning over 300 entries. 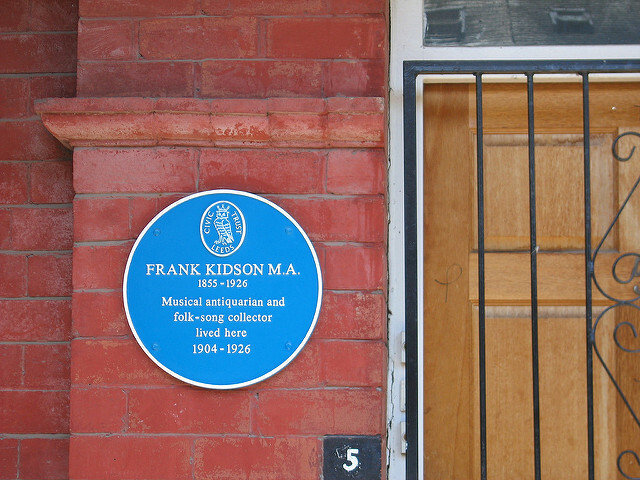 In 1905, Frank and Ethel Kidson moved to Hamilton Avenue in Chapeltown, now marked with a blue plaque, where Frank died in November, 1926. In 1923, Frank received an honorary MA degree from Leeds University. Ethel offered his huge library to Leeds Libraries after his death, but they turned it down, although they do possess a fair amount of Kidson material. Some of his books and papers ended up in the Mitchell Library in Glasgow, purchased for £500. He was a pioneer in the field of song collecting, even if it was never his great vocation, more a branch of his fascination with antiquarianism. But he was thorough, and immersed himself in it. The pity is that he’s largely forgotten. Recently, that’s changed a little: Pete Coe and Alice Jones toured and recorded a show called The Search for Five Finger Frank and I included Frank and Ethel as minor characters in my novel The Tin God. Hopefully the tide is turning and he can receive the credit he deserves. Chris Nickson is the author of several historical crime novels set in Leeds. 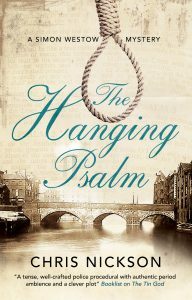 His new book, The Hanging Psalm, will be published on 28 September . Leeds, 1820. Thief-taker Simon Westow knows all about lost property. A boy from the workhouse, he now has a comfortable business finding and returning his clients’ stolen possessions. But when John Milner, a successful Leeds businessman, seeks out Simon’s services to find his kidnapped daughter, Hannah, it’s clear he faces a challenge like no other. Accompanied by his enigmatic and capable young assistant, Jane, Simon takes to the dark, shadowy streets of Leeds for information – streets he knows like the back of his hand. But his enquiries lead Simon and Jane into great danger. Could the answers lie in Simon’s own past, and an old enemy seeking revenge? 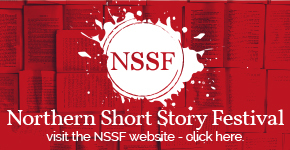 The publication will be accompanied by a treasure hunt in Leeds city centre, in association with #foundfiction. Follow the clues, find all five extracts from the novel, post them on social media and you might win a copy of the book! On the morning of Saturday 29 September, Chris Nickson will publish a map with an X in the location of the first extract, which will contain a clue to the whereabouts of the second, and so on, until the finder has managed to trace all five extracts. The first person to find every extract will win a free signed book. The full launch will take place at Waterstones Leeds at 6.30pm on Thursday 4 October. 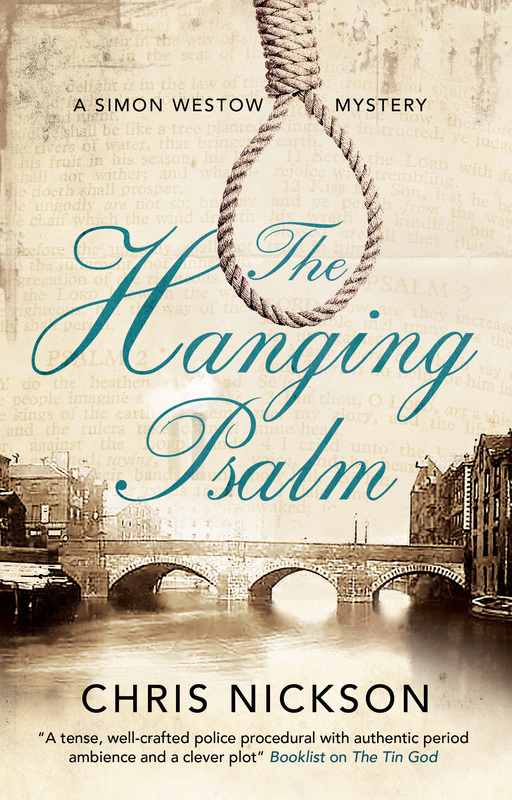 The Hanging Psalm is the Editor’s September Pick at Severn House. Read more here.